Our society has long grappled with questions surrounding the role of government, the ideals of government, and, perhaps most importantly, our place as citizens within government. But these questions are far from new. The ancients were tangling with political thought for thousands of years before our modern political age. In fact, the term “democracy” comes from the Greek word demos, of the people. And our word “politics” comes from the Greek word polis, of the city. So when investigating the evolution of government, and addressing important political question, we can do no better than look towards our ancient forefathers. After all, it was in ancient Athens where democracy was first implemented. And it was the ideals of the Roman Republic that inspired the American founding fathers. 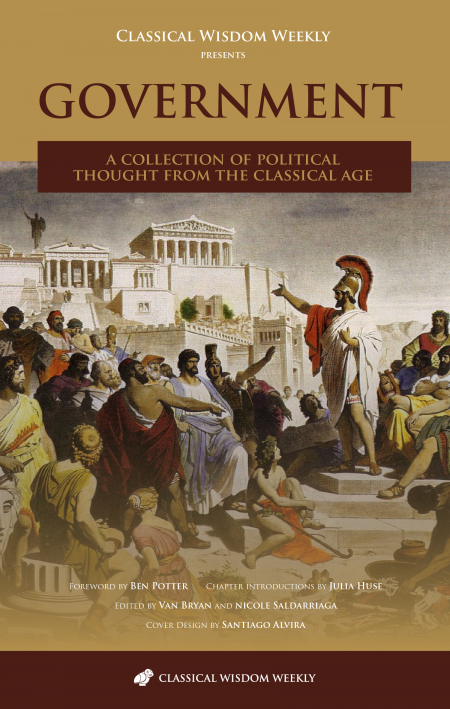 Download your own anthology below and discover for yourself the political thought of the ancient world.